The Bombardier CRJ200 price was around $24.375 million dollars (USD) for a new CRJ200 jet from Bombardier. This is the list price of the jet an that was averaged from one of the orders for the Bombardier CRJ200. As usual in the aviation industry the "real price" was likely much less. Airlines and companies are usually able to get prices that are much lower than the list price. In 2005 Bombardier announced that they would suspend production of the CRJ200 jet, however they reopened the CRJ200 line in 2006. Shortly after the 2006 announcement, Bombardier stopped selling the aircraft. The Bombardier CRJ200 is no longer in production as the program was likely closed some time after 2006, however the closing of the production was not officially announced. The CRJ200 price for a used CRJ200 had varied in a wide range depending on the year built, hours flown and condition for the CRJ200 for sale. In the past we reported that used Bombardier CRJ200 pricing ranges from $7 million to $20 million dollars. Today the price on the used jets has significantly dropped and the price range has tightened. As of 1/16/2016 we have seen that Bombardier CRJ200 regional jet pricing has ranged from $1.5 million dollars to $4 million dollars ($1,500,000 to $4,000,000 USD). If you need to acquire CRJ200 regional jets visit our for sale page to learn more. Our FlyRadius Center subsidiary can help. Above Bombardier CRJ200 Price page photo by Wo st 01/Wikipedia on Wikimedia Commons. Photo (only) is released under a Creative Commons License. 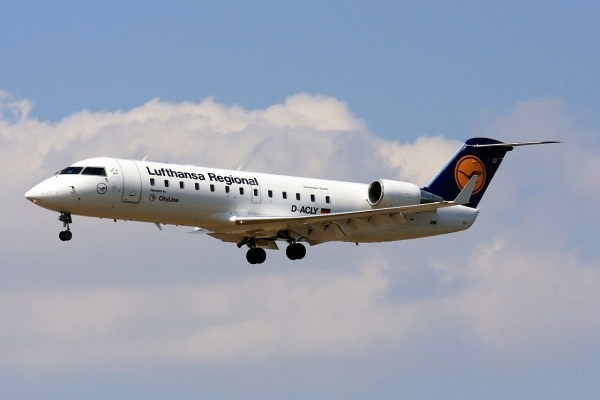 The Bombardier CRJ200 price is also known as the Bombardier CRJ-200 price, Bombardier CRJ 200 price, Bombardier CL-65 price, Canadair CRJ200 price, CRJ200 aircraft price and the Bombardier CL-600-2B19 price.